I am an avid tea drinker and have been ever since I drank my first cup of tea around age six. I enjoy tea in many of its incarnations: the sweet, spicy chai of India and Pakistan, the minty green tea of Morocco, strong and sweet Turkish tea, delicate Darjeelings, robust Kenyans and iced tea with slices of orange and lemon, to name some examples. I have never been much fond of fruit teas or plain green teas - the first I can tolerate iced, but the second tastes to me like freshly mown grass: the smell is nice and refreshing but the flavour is less than pleasing. I guess it’s an acquired taste and no doubt I will learn to drink it if I ever visit Japan or China. I am not what you would call a tea snob - you are just as likely to find me slurping sweet milk tea made with a tea bag (oh, my! ), from a chipped and stained old mug (horror of horrors! ), as you are to find me sipping milkless FTGFOP Darjeeling from a bone china cup. Each has a suitable occasion. Maybe tea nerd would be a better description of my relationship with the beverage. But let’s turn to the book. It’s a large-format book of the kind often referred to as “coffee-table books”, although in this case maybe “tea room book” would be more appropriate. 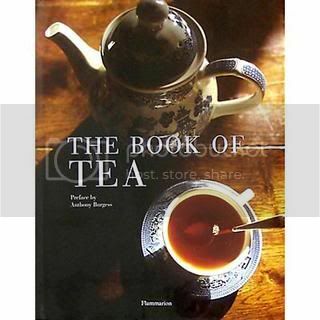 It features some gorgeous photography and artwork, and has chapters on tea growing and processing, tea history, tea drinking habits the world over, types of tea, statistics and even recipes for food such as tea sauce and tea ice, and a list of tea houses and tea shops in the USA, London and Paris. It was published in France, is a translation from French. It is a lovely book for tea enthusiasts and foodies who want to have some knowledge of the subject but do not want to become experts. For those interested in more information, there is a bibliography of books they can turn to for more in-depth reading. 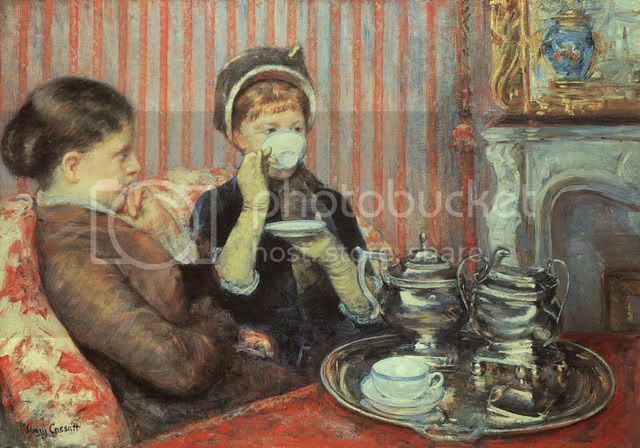 A touch of snobbery surfaces here and there - one author suggests that it is criminal to use either milk or lemon in tea, and that sugar is only acceptable in a few types of tea (as if it wasn’t simply a matter of personal taste). All skim over the subject of flavoured teas - you get the feeling they do not approve of anything beyond Earl Grey or Russian citrus tea, and those only because those blends are old enough to count as traditional. Tea in bags is universally denounced - which is perhaps not surprising as it is a fact that many tea companies use sub-standard leaves to fill their tea bags, but it is also true that you can get quite decent bag tea if you know where to look. 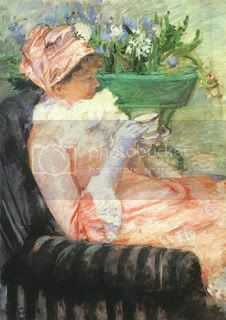 Minor snobbery of this kind is forgivable when you really don’t care what others think of your tea drinking habits, but it is unfortunate that it may influence impressionable people who are new to tea drinking and liable to think they must follow the rules implied by the book in order to enjoy their tea. Rating: A lovely book for tea enthusiasts. 4 stars. Finally, here is a tea that I often enjoy, especially on cold winter’s evenings when I want something warming. 3 bags black tea, or 3 level tablespoons of robust black tea leaves. The best tea for chai is broken leaves, dust or fannings (the kind used in tea bags), as they make stronger tea. Bring the water to the boil. Bruise or lightly crush the cardamoms and cook in the water for 5 minutes. Add the tea leaves and cook for about 2 minutes (I prefer using tea bags - it's less messy). Add the milk. Remove from heat when the mixture boils, strain out the cardamoms and tea leaves and serve with sugar to taste. If you want a more intense cardamom taste, pour the chai into a thermos flask with the cardamoms and leave it to steep for about an hour (do not steep with the tea bags/leaves as it will make the chai bitter).